Next year’s Otago Rally will offer competitors a two-pass reconnaissance for the first time, in a move to reduce the advantage of drivers who have contested the event on many occasions. The decision is not one that has been made lightly by rally organisers, and is the first of many new features that will ensure that the Otago Rally remains one of the Southern Hemisphere’s most popular events. “Our competitors are at the heart of what we do, and this initiative has only been taken after considerable consideration of what they want from us,” Rally Manager, Norman Oakley, said. The two-pass recce will be held on Thursday and Friday, April 11 and 12, with the pre-event media day being moved forward to Wednesday afternoon. 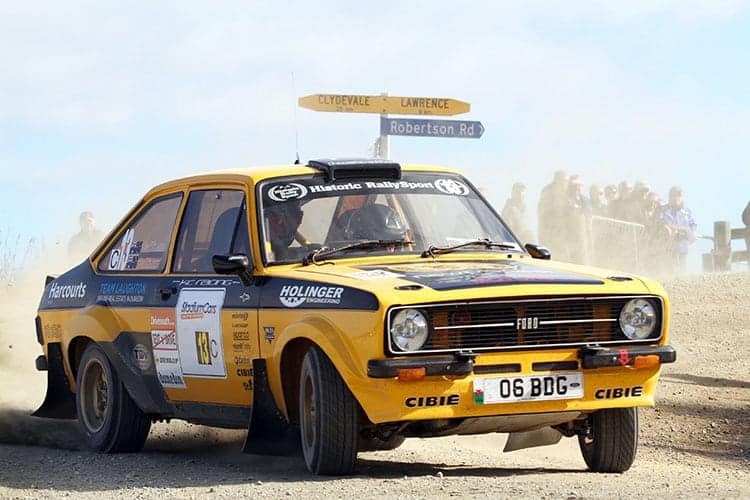 The Otago Rally will entail around 140 kilometres of stages on both Saturday and Sunday, providing crews with a challenging start to the 2019 season. The total competitive distance of 280 kilometres will include 200 kilometres on smooth, fast public roads. “There are a range of reasons that have encouraged the rally committee to trial this initiative,” Oakley adds. “It gives competitors, and especially local South Island competitors, the opportunity to write their own notes. “With Rally Whangarei following three weeks later, it gives the opportunity to promote an ‘NZ rallying holiday’ to international competitors, with two rallies, each two-day duration and two-pass recce. “It also addresses an often-expressed concern from new competitors to Otago (including internationals) who found it challenging to fully commit to their notes with only one pass. “Not all stages will be repeated, as we are well aware competitors enjoy the wide range of roads that we traditionally run. Stages that are repeated will be high quality roads that will not deteriorate,” Oakley said. Day 1 of competition will be south of Dunedin and will be recce’d on the Friday, to help anyone only wanting to do the one-day rally option. Stages will include a long Berwick Forest stage and ever-popular favourites such as Kuri Bush, Whare Flat and Waipori Gorge. Day 2 will be north of Dunedin, and recce’d on the Thursday, starting at Oamaru with spectator friendly stages, and then heading south to Dunedin. In keeping with a long-standing practice in New Zealand, organiser’s stage notes will still need to be purchased, but competitors are free to decide to what extent they use them. Further changes to the 2019 Otago Rally will be announced in the coming weeks.